Vector graphics of versatile shiny arrows. 3D designs, glossy surfaces in gradient colors. Curved arrows to create company logos, app icons, badges, poster and product label decorations. 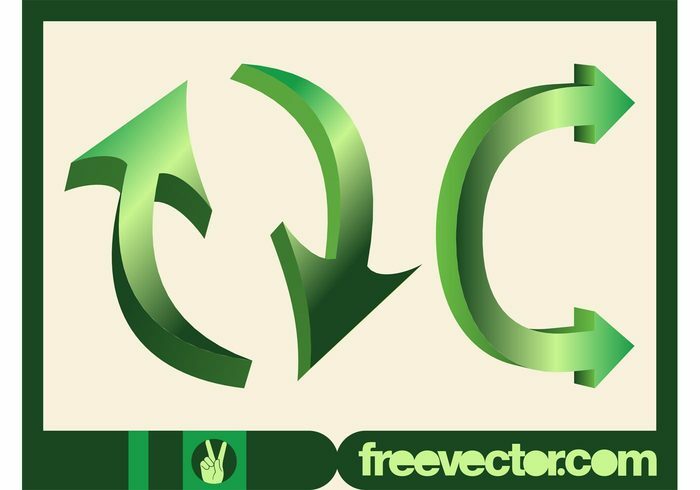 Free vector graphics for directions, arrows, pointers, orientation, refreshing and reloading visuals.